Here it is. 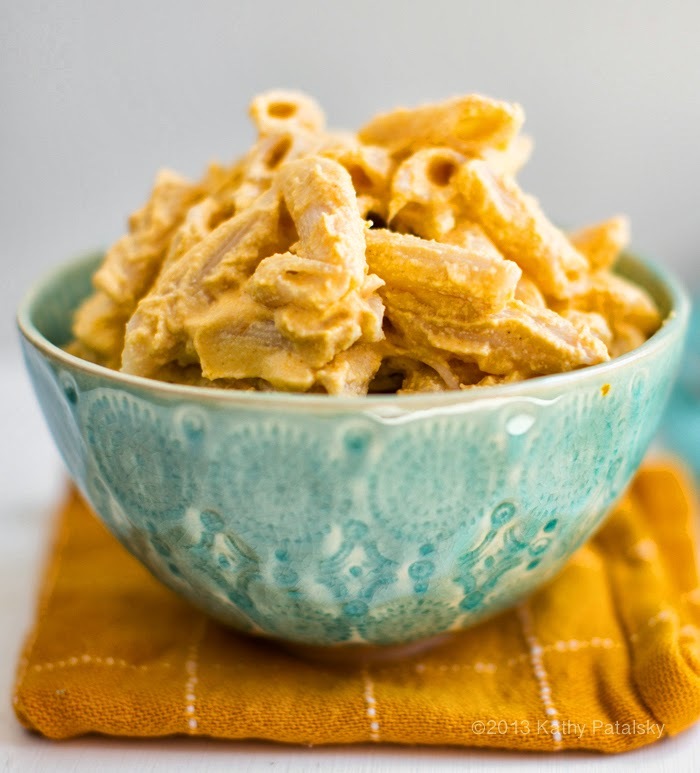 My go-to pasta for fall. 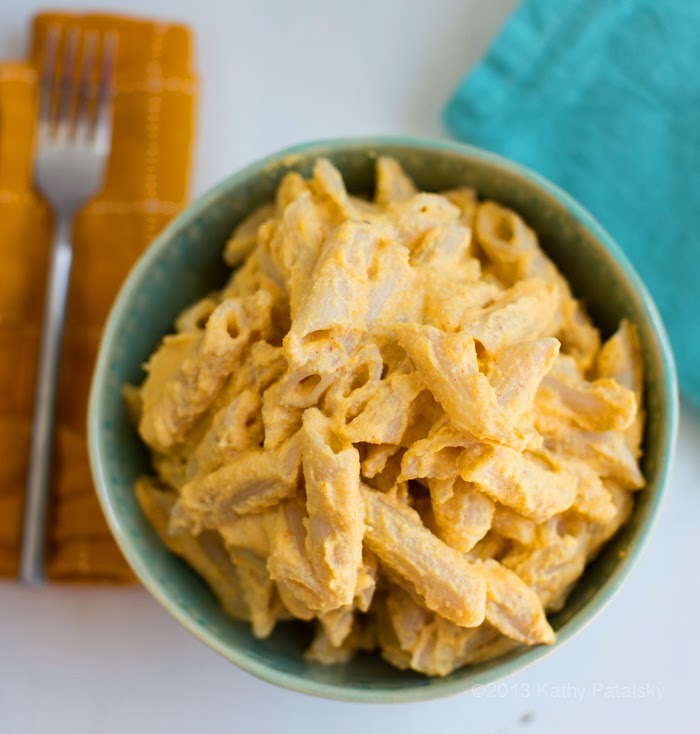 My Creamy Cashew Butternut Pasta combines fall flavors to make you swoon. 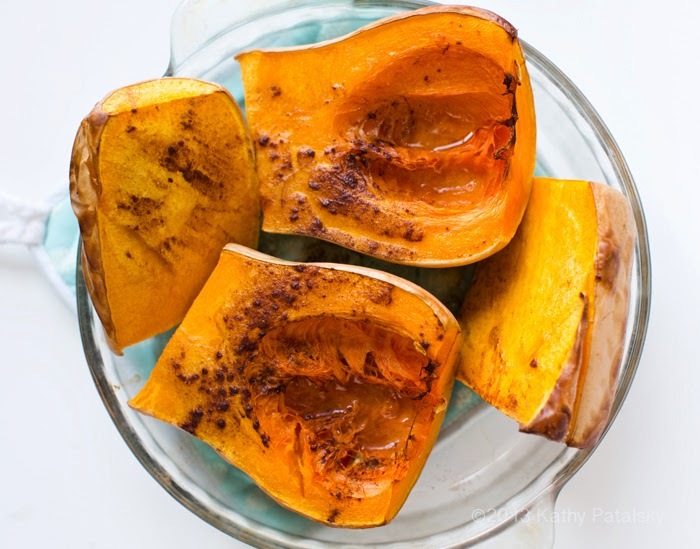 Roasted butternut squash with a hint of coconut oil, cinnamon and pink salt. 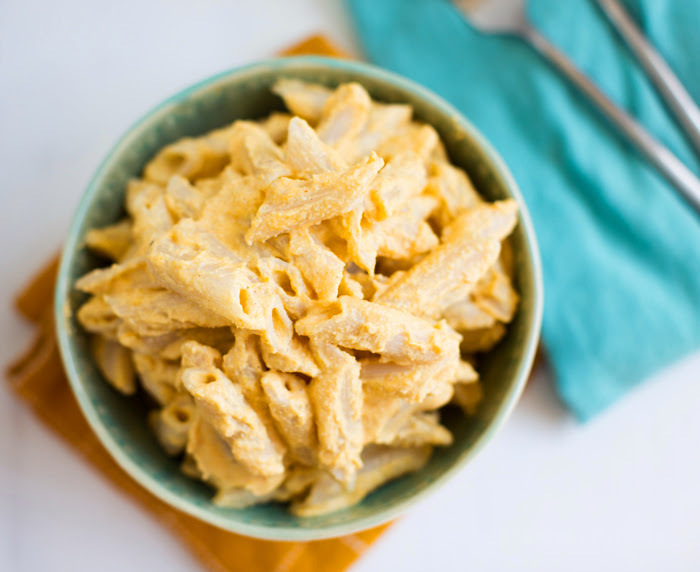 Creamy cashews that blend into a whipped "Alfredo Sauce" like consistency. And some spelt penne pasta. 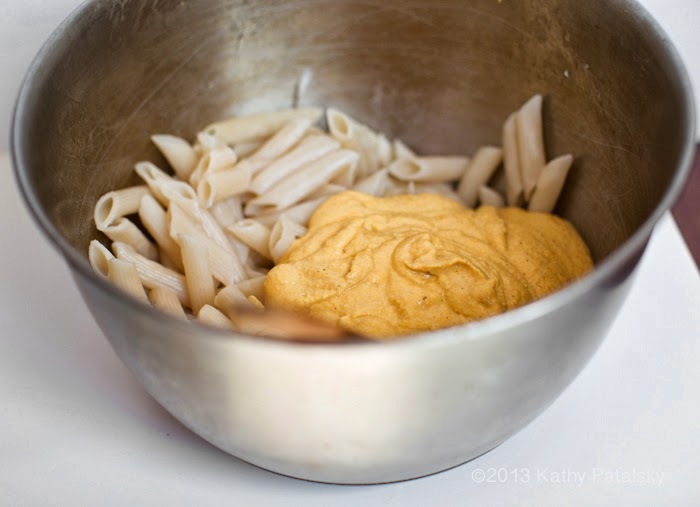 This rich and comforting pasta bowl is super easy to make. Just get prepped by soaking some raw cashews and roasting a butternut squash and dinner is almost done! Add a salad or a side of roast veggies to complete your vegan feast. Get my recipe!.. 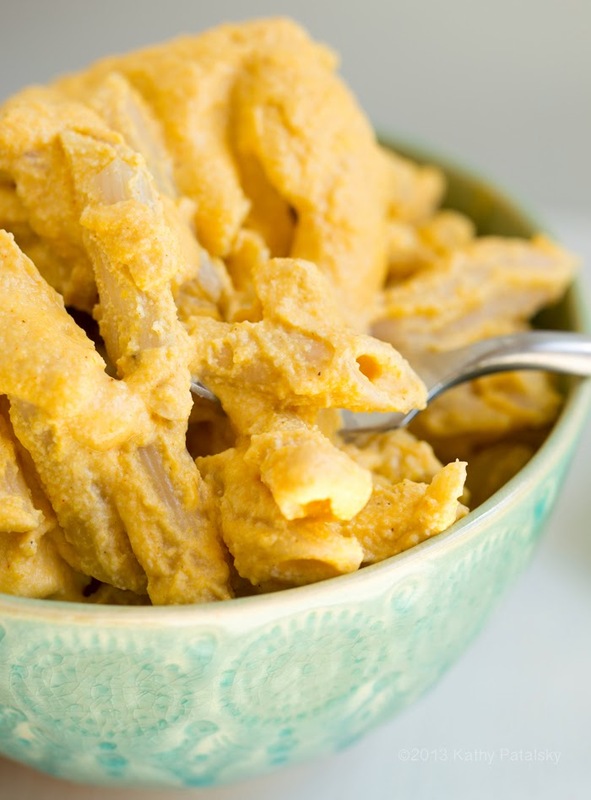 This pasta is all about the dreamy butternut squash + cashew sauce. 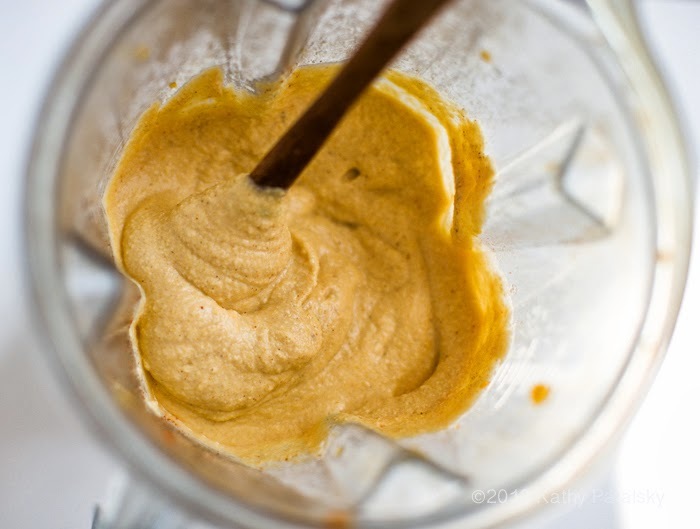 Make it easily + quickly in a Vitamix or food processor. Life. I was happy to go to my first blogger event in a very long time. I've been cancelling everything since my full time job seems to be taking care of Nelly now. Even though she had one positive cancer Xray last week .. there is still much to do to KEEP her on track. So what she needs, I provide. Pills, shots, hand feeding, brushes etc. (And I wouldn't have it any other way.) But it is never healthy to stop all social activities! So I was grateful that my friend Tonya coaxed me out of my cave and I ended up in Beverly Hills, sipping wine and grabbing goody bag goodies for a #wishclouds event. Being a carefree blogger for one night was kinda nice. I was glad to run into a few blogger friends too! And oh yeah, my highlight was meeting this guy. 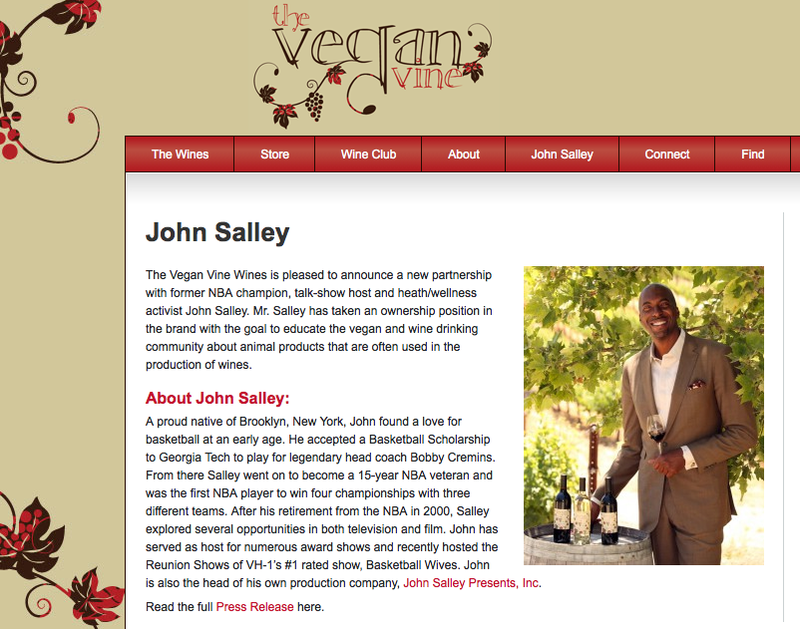 John Salley. Famous vegan. Cool guy. And inspiring soul. He does SO many charity events, I am in awe. I "met" him a few years ago in NYC at the Farm Sancturay Walk for Farm Animals (<- my post on that event.) He also has a brand new wine out called The Vegan Vine. I must try this stuff!! Looks fab. But even though I am 5'8'', it is very challenging to Instagram photo with this towering, ex-PRO-BBAL player. Oh and his megawatt smile makes you melt. No wonder he was being swarmed by the blogger-azzi. 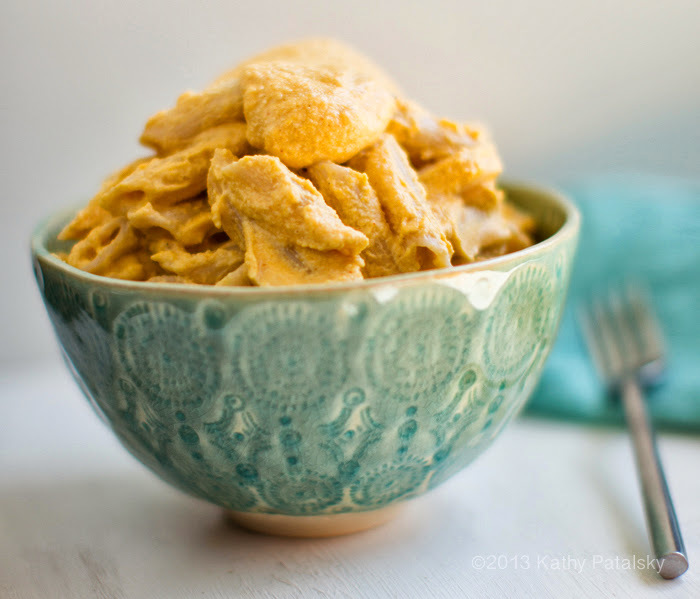 But lets get back to today's creamy dreamy, comfort food bowl. 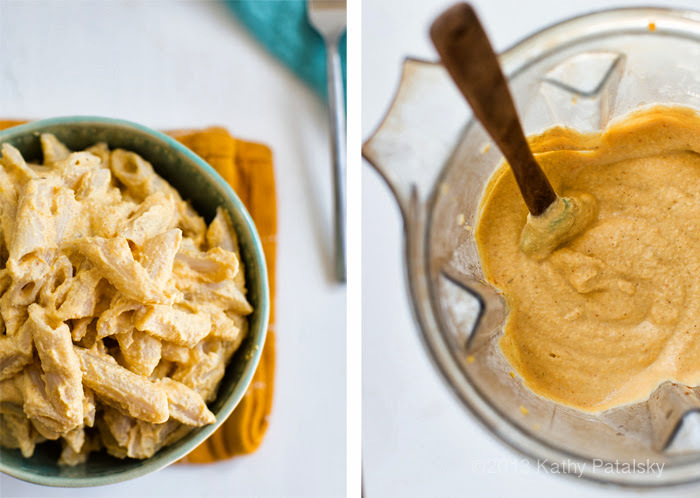 Grab a butternut squash, some raw cashews, pasta and make this golden bliss bowl!.. notes: I used 2 cups cashews to 3 cups squash. You can use a bit more or less to customize the sauce. For a less rich sauce/lighter, use less cashews and more squash. a few pinches of cinnamon or pumpkin pie spice! 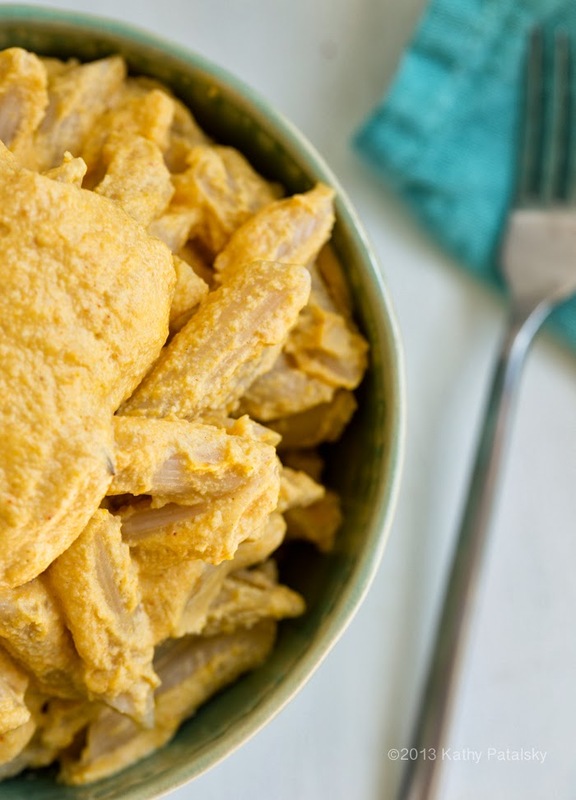 *note: You could substitute the fresh squash with canned squash if needed, use about 1 can per recipe. 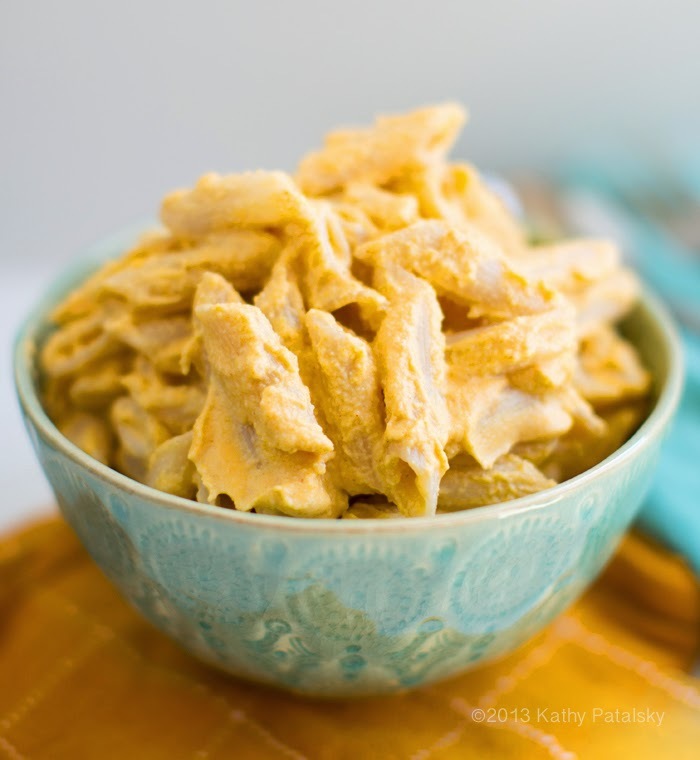 You could also experiment using sweet potato or pumpkin as the golden puree base. Prep: Soak raw cashews overnight. About 1 1/3 cups raw cashews will plump to about 2 cups soaked. 1. Slice butternut squash, remove seeds. Brush flesh with coconut oil and add pinch of salt. 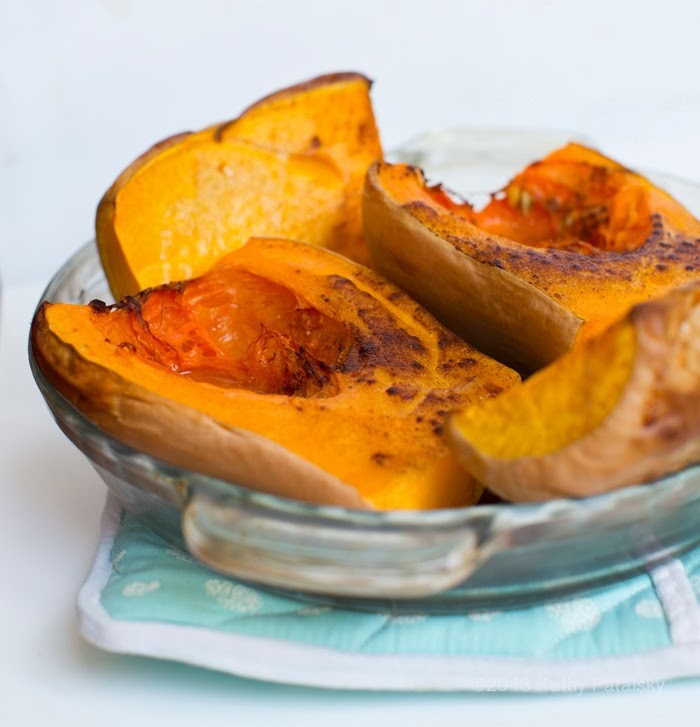 Roast butternut squash for about 50-60 minutes in a 375-400 degree oven. Roast until tender and spoonable. Flesh should easily be pierced with for when done. 2. Boil pasta water and add pasta. 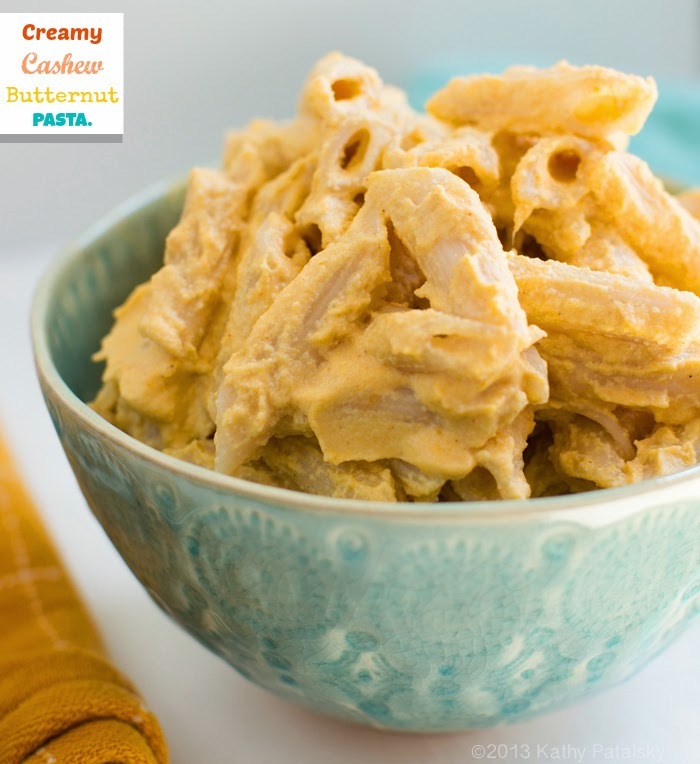 You can use as much pasta as you will be eating for that meal, or make more and plan on delicious leftovers. 3. Drain all water from soaked cashews. Scoop about 2 cups of butternut flesh. All do blender or food processor. 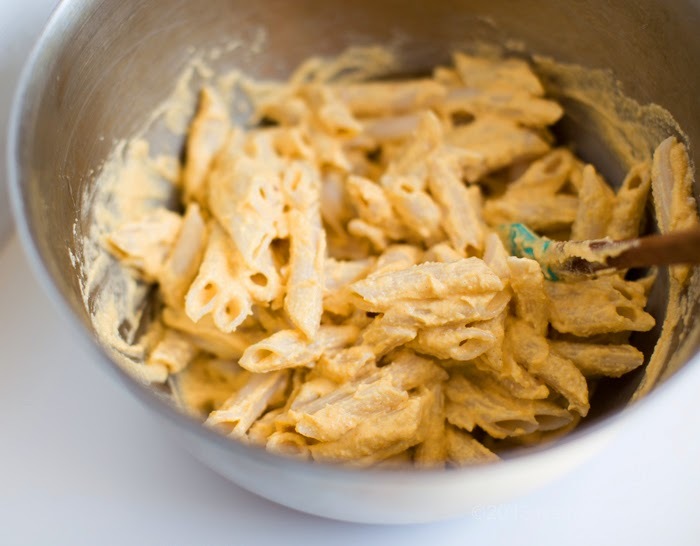 While pasta is cooking, quickly add the cashews and all sauce recipes to the blender or fp. Blend until smooth. 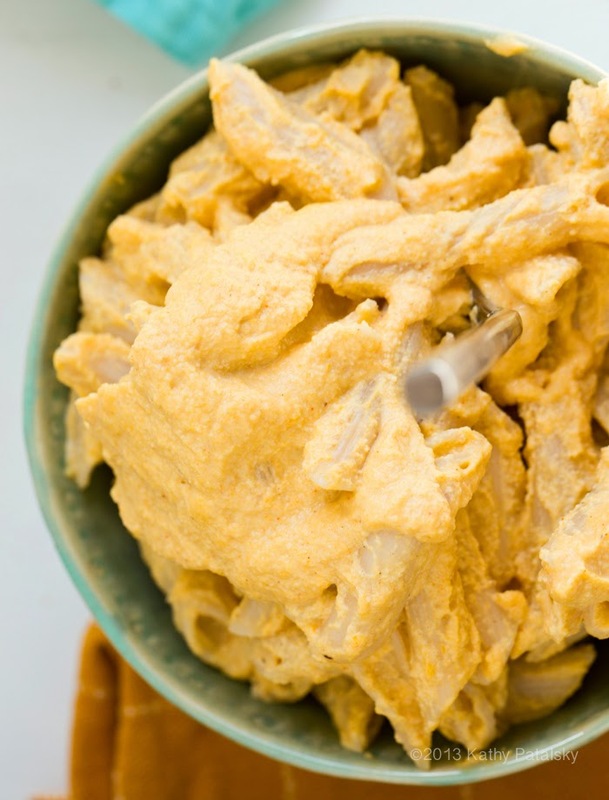 Consistency should be like a smooth hummus. 4. Drain cooked pasta and toss with sauce. You can either serve right away for warm sauce or for a hotter serving temperature bake in a 350 degree oven (covered) until heated a bit more. For re-heating leftover, the microwave works surprisingly well if you are in a rush. 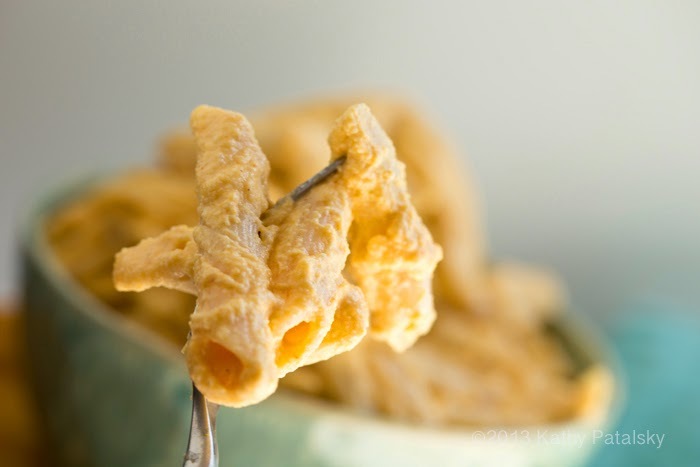 tip: taste test the sauce when blended and add additional spice accents, salt or sweetener if desired. leftover sauce: I will post a delish recipe for using the leftover sauce next week, but basically you can use it as a side for salads, to top roasted veggies, grain bowls or even a sandwich spread. 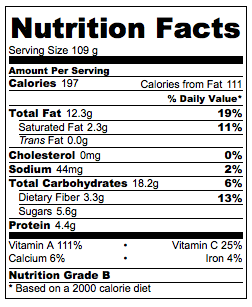 *rich in vitamins A & C and fiber. One more of me and JS!..